Gordon Getty (b. 1933) is a distinguished composer of songs and operas inspired by poetry. “Beauty Come Dancing” is a new release on the Pentatone label of Getty’s choral works performed by The Netherlands Radio Choir led by chorus master Klaas Stok, and The Netherlands Radio Philharmonic Orchestra conducted by James Gaffigan. This is the third album of his choral works. Getty is a self-described conservative, both in the poetry that inspires him and the music he writes. The only living poet in the collection and the one who wrote the title piece and two other songs on the CD is himself. This is not the first time he has set his own words to music. Like Wagner, whom Getty admires, he supplies his own librettos for his operas: “Plump Jack” (based on Shakespeare’s Falstaff), “Usher House” (based on Edgar Allan Poe’s short story “The Fall of the House of Usher”), and “The Canterville Ghost” (based on Oscar Wilde’s novella). John Keats (1795–1821) is Getty’s favorite poet, and John Masefield (1878–1967) his second favorite. Both are represented in his collection. Masefield, like Getty, was a ballet aficionado and, in “Ballet Russe,” Beauty returns in the form of a ballerina, “all that a boyhood loves and manhood needs.” The first line of the poem mentions Chopin, and the music suggests the style of the earlier composer. “Shenandoah” is Getty’s choral arrangement of the American folk song. He had written an earlier arrangement for soprano Lisa Delan, who has been a frequent interpreter of his music. “There Was a Naughty Boy” is a lighthearted poem by Keats, and Getty’s setting is equally playful. Sara Teasdale’s (1884–1933) “Those Who Love the Most” (the only poem on the album by a female writer) is a look backward to the era of courtly love, with references to Guinevere, Deirdre, Iseult, and Heloise. “The Destruction of Sennacherib” by Lord Byron (1788–1824) is a dramatic piece, beginning with an attack by the Assyrian army and concluding with the grieving widows of Ashur. Ernest Christopher Dowson’s (1867–1900) “Cynara” is performed by a male chorus and orchestra. At one point the poet exclaims, “I have been faithful to thee, Cynara! In my fashion.” This poem was supposedly the inspiration for Cole Porter’s song “Always True to You in My Fashion” from the musical “Kiss Me, Kate.” Getty’s musical setting is far more serious in tone than the Broadway composer’s. The Netherlands Radio Choir under Chorus Master Klaas Stok clearly articulates the text, although where the orchestra reaches an occasional crescendo, the words are sometimes obscured. Pentatone helpfully supplies the poems along with an essay by Jeff Kaliss, a statement from the composer, and information about the choir, the superb Netherlands Radio Philharmonic Orchestra, as well as its conductor James Gaffigan. 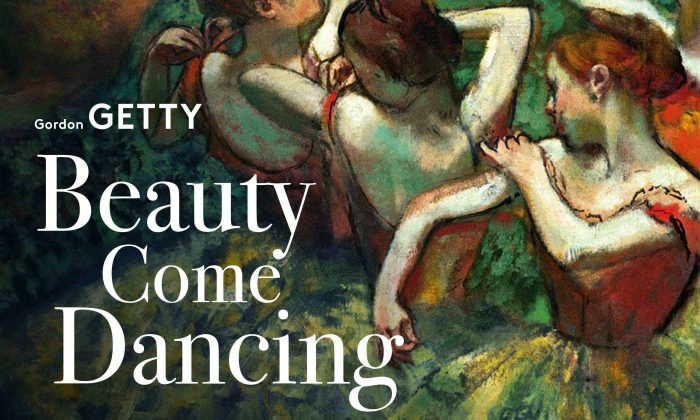 “Beauty Come Dancing” attests to Getty’s facility for setting poetry to music. Barry Bassis has been a music, theater, and travel writer for over a decade for various publications.